Interested in learning more about LeanPath’s solutions? 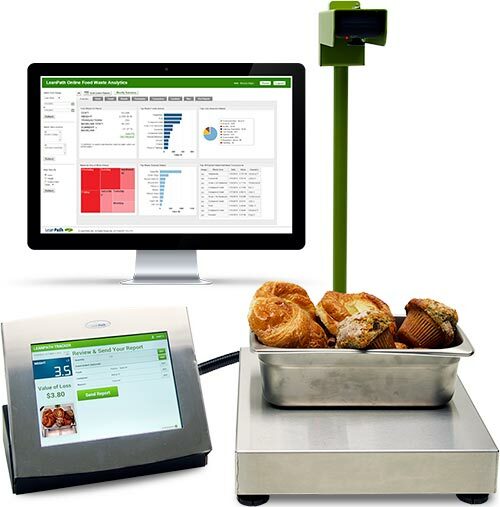 Want to see a demo of exactly how the food waste recording process works? Curious what it's like to actually implement LeanPath in a foodservice operation? Attend this short product demo webinar to get answers to these questions and more. During the presentation, a LeanPath expert will walk you through a sample transaction on the LeanPath Tracker, explore LeanPath's staff engagement tools, highlight the reports and tools available, and discuss program implementation and support. The demo itself will last about 20 minutes, with time reserved at the end for questions and answers. Invite your team to learn more about LeanPath and bring your questions! * We offer these demo webinars the first Tuesday of each month, so if you can't attend this session, check our webinars page for the next opening. "I can’t imagine being without [LeanPath] and we’ve only had it for five months. I don’t know why I wasn’t thinking about this 10 years ago. Before we had no actionable way to get a handle on it—it changes the way we do things. This program provides a focus for the department to rally around and do the right thing for the environment."